Welcome to Writing Wednesday, where every week we give you a chance to post your writing here on the Seymour Science blog. Today we thought we’d have some fun, and let you do a piece of creative writing about space. It’s "Science Fiction" Writing Wednesday! The Topic: Saturn and its rings. Saturn is one of the "gas giant" planets in our solar system. Often, when I try to describe the size of objects in the solar system, I find that I need to use comparisons. The numbers are just so huge that no one can imagine what they mean. For example, I can tell you that Saturn’s circumference (which you would measure by wrapping a giant tape measure around its equator) is 235,298 miles or 378,675 kilometers. But who can really imagine how large 235, 298 miles is? I can’t. A better way to think about this is to use a comparison. To give you an idea of how big Saturn is, we can compare it to Earth. Saturn’s circumference is 9.4 times larger than Earth’s circumference. We can all understand that that is BIG. Now, for the science fiction part. I found a great image this week (thanks to the USA Science and Engineering Festival for sharing!). This picture is also designed to help us understand how huge Saturn is, by imagining how long it would take to drive all the way around one of the rings. Of course, no one could never ever really do that. But doesn’t knowing that it would take 258 full days if you were driving 75 miles per hour the whole time help you to understand just how huge Saturn is? Your assignment: Imagine that you are in a that spaceship/ truck, driving on Saturn’s rings at 75 mph. Write a paragraph or two describing what that journey would be like. What are Saturn’s rings really like? Are they solid? What are conditions in space? Tell about the food and water you would need. Would you be lonely? Use what you know about Saturn and about space to imagine what you would encounter. Use lots of descriptive details to make you imaginary journey come alive for your reader. When you are finished writing, click on the yellow "Comments" at the bottom of this post to enter your writing. Note to Eucators: Today’s Writing Wednesday excercize is designed to support CSSS Writing Standard #3: Write narratives to develop real or imagined experiences or events using effective technique, descriptive details, and clear event sequences. Saturn has many moons - 53 that have been discovered and named, nine more "provisional moons" which have been detected but only assigned a number until more is known about them. Today’s "Cool Photo of the Week" is of two of Saturn’s moons. The small one is one of Enceladus, ice-covered and just 300 miles (483 kilometers) wide, and covered by ice. It is dwarfed by one of the big Saturnian moons, the 3,200 mile (5,150 kilometer) wide Titan. The streak across the middle of the photograph is one of the planet’s giant rings. Cool photo, don’t you think? It was taken by the Cassini orbiter, an unmanned spacecraft which continues to help us learn more about this gas giant. An updated version of Seymour Simon’s SATURN, with the latest information from the Cassini mission, will be published for Amazon’s Kindle Fire this September. For today’s Cool Photo of the Week, Seymour Simon chose this photograph taken by NASA’s Mars Reconnaissance Orbiter, an unmanned satellite that has been orbiting the Red Planet since 2005. The orbiter is searching for evidence that water was once present on the surface of Mars. NASA scientists also want to know whether water was present long enough to support life at some time in the past. Look at the deep ditches and trails criss-crossing the sand dunes in an area of Mars known as the Russell Crater. These trails were carved into the landscape by "dust devils," mini-tornadoes that whip across the Martian landscape. The ditches are formed when chunks of frozen carbon dioxide slide down the face of steep dunes. When I speak at schools, I often tell students about an astronomer named Percival Lowell, who thought he spotted Martian "canals" through his small telescope back in the early 1900s. Do you think it’s possible that he saw these deep trails, leading him to the mistaken idea that the canals must have been dug by intelligent life, or Martians?! Can you imagine a single hurricane that has lasted for centuries? In this activity (click here to download), you will learn more about a giant storm on Jupiter that has not changed its position for hundreds of years. From now through Labor Day, we will publish various nature projects. The goal is to get kids outdoors, exploring and enjoying the world around them. Check back here throughout the summer for new installments of Summer Vacation Science. Set your alarm for just before dawn tomorrow morning, May 11 and you can see FOUR of the planets in our Solar System with your own eyes! Mariano Ribas took this photo early today from his home in Buenos Aires, Argentina. The three "stars" that form a triangle high in the sky are Venus, Mercury and Jupiter. If you look down below, closer to the fence, there is a fourth faint light, which is Mars. This amazing sky show will continue all the way through the end of the month. Astronomers are excited about tomorrow because they say it will be the "best" day for viewing, with the two brightest planets in our Solar System, Venus and Jupiter, very close together. Set your alarm, look to the eastern sky, and greet the planets. What a great way to start the day! Alas, poor Pluto is no longer considered to be a planet by the scientists of the IAU (International Astronomical Union). Astronomers use three criteria for a body to be called a planet: 1) it has to be in orbit around the Sun. 2) it has to have enough mass to pull together so that it becomes nearly round. And 3) it has to have enough mass and gravitational pull to clear out other bodies in the space around it. Pluto meets the first two tests, but it does not have enough mass to clear the space around it (for example, if it had enough mass its gravity would pull a meteorite down so it crashes to the surface). So Pluto has been renamed a Dwarf Planet. All you kids who have memorized the planets in order from the sun will now have to stop at Neptune, the eighth planet from the sun. Here’s some more information about Pluto from Space.com, a really neat site that you can use to find out all kinds of interesting facts about what’s out there. I can just imagine how excited I would have been for this event when I was a young kid and a member of the Junior Astronomy Club at the American Museum of Natural History in New York City. Wait a second there, young Seymour — I’m STILL excited about it! Here’s what’s going on this evening: Jupiter, the biggest planet in our solar system, will be overhead in the night sky at midnight, shining brighter than everything except the Moon. Jupiter and Earth each revolve around the sun in their respective orbits. Earth takes 365 days, one Earth year, to make one revolution. It takes Jupiter nearly 12 Earth years, 4330 Earth days, to make one revolution around the sun. That means that the two planets are rarely very near each other in their orbits. But not tonight. Earth and Jupiter are the closest together in space that they will be for the 12 years, until 2022. If you look through even a small telescope or a pair of high-magnification binoculars you should see Jupiter’s four big moons (called the Galilean moons because of their discovery in 1610 by the great scientist Galileo). Galileo used a small telescope that is about 20x magnification.The four moons he discovered are name Io, Europa, Ganymede and Callisto. Here’s a photo of Jupiter and the shadow of Io on the surface of the planet. This was taken by Anthony Wesley of Australia (he used a much higher magnification, so you won’t be able to see Jupiter quite like this). Questions about the sun from Spencer G.
Hi my name is Spencer G. and I am doing a research project for school. I told my mom I wanted to interview you for my ‘Origins of the Sun’ project. I could not believe it when she told me she had gotten in touch with you and to leve my questions here for you! 1. What role did the sun play in the formation of the Milkyway? 2. What role did the planets play in the formation of the sun? 3. What role diddid the sun play in the formation of the planets? 4. What role did the stars, (other then the sun,) play in the formation of the sun? Hi Spencer! Good for you to be doing research on a project like this! Briefly, our sun is only one tiny star in the billions of stars that make up the Milky Way Galaxy. So the question might really be the reverse: How was the sun (and all the other stars) born in the Milky Way Galaxy? Stars (like the sun) are constantly being born in spots called "star nurseries" in galaxies. The planets were formed in a somewhat different manner and that is also rather complex. Again briefly, the planets formed from hot gases similar to the sun, but the gases cooled, other elements formed from the gases that were cooling and the planets were born. Finally, the other stars really had no role in the formation of our own sun. All the stars (including the sun) were formed in the same manner. Hope this helps starting your research Spencer! Good luck on your project. 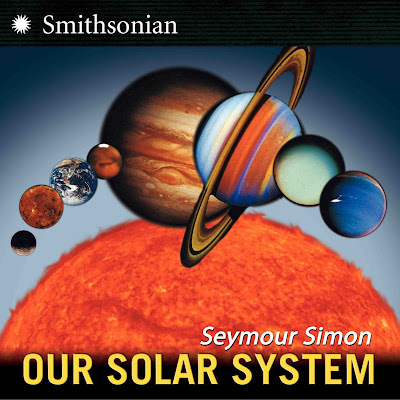 You will be able to find more information in my books: THE SUN and OUR SOLAR SYSTEM. You should be able to find these books in your school library, or your local public library.